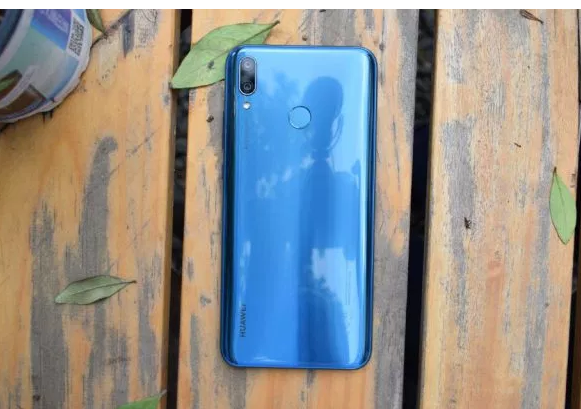 Home » Phones , Reviews » Huawei Y9 Review, Price, Specs – Camera, AI, Action! Huawei Y9 Review, Price, Specs – Camera, AI, Action! 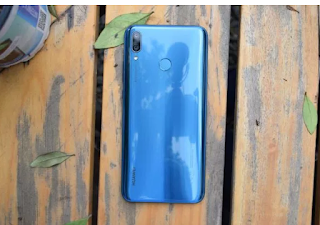 The launch of the Huawei Y9 (2019) came with a lot of buzz, thanks to the much-taunted AI cameras alongside a beautiful design and very friendly price. After spending quality time with the phone, I am ready to tell you whether there’s substance or it’s all just noise. To start us off, we shall be looking at the design and my sentiments have not changed, the Huawei Y9 is a beauty. My review unit is sapphire blue colour and it attracts the right attention wherever I go with it. The device is made entirely of plastic, which is a bummer but costs had to be cut somewhere, however, despite the choice of material, the back of the phone is shiny as ever which means it will reflect light, hog smudges and gather scratches just as easily as a glass phone and that’s what we love, don’t we? This phone is huge, that’s no secret. However, to aid with handling, the back has been slightly curved, thus making the kinda-huge phone more comfortable to hold. Also as a mitigation, Huawei does include a free case in the box to keep your device feeling new and rubbery, all the while offering some level of protection. Switch things up to the front and you are met with a big 6.5-inch full HD display with a notch. This must-have feature is what houses the front cameras and other sensors. To add on to the aesthetics, the display has rounded edges. I am happy to report that it gets dim enough in low light, which has been a problem with so many devices and also gets bright enough in direct sunlight, although you might notice colours looking more washed out the brighter the display gets. On the software end, we get Android 8.1 Oreo with EMUI 8.2 on top. EMUI has come a long way and it is no longer the eyesore it used to be. For instance, despite lacking an app drawer out of the box, it can be enabled from within the settings. On top of this, EMUI now has a couple of features such as a blue light filter, ability to turn your phone into a wifi extender through wifi bridge, changing the screen resolution to save battery, screenshot gestures and even built-in app lock. When it comes to performance, the Huawei Y9 (2019) is powered by a Kirin 710 processor and 4GB of RAM that do an excellent job at keeping everything running smooth. There’s 64GB of onboard storage which is also expandable via MicroSD. Additionally, the device does support Dual 4G standby, with the option of having VoLTE enabled on both SIM cards. There’s a fingerprint scanner on the back complemented by the standard face unlock. With a 4000mAh battery, on average, I managed to push the Huawei Y9 to over 9 hours screen-on time, occasionally getting over 10 hours. This is with wifi usage, location always on and brightness on auto. Switching to a full day of mobile data usage, the battery stats would show around 8 hours of screen-on time. The AI camera on the Y9 has become the order of the day. What this is means, is that the Y9 automatically recognizes a scene and in turn automatically adjusts the settings on the camera to bring out the best image possible. This hyped software enhancement rides on a dual camera setup on the back, of a 16MP lens and a second 2MP lens for depth sensing. The front has a similar setup, with a 13MP lens and a second 2MP lens for depth sensing. Even roses have thorns and the most prickling of all is the lack of fast charging. With such a huge battery, Huawei should have considered at least having some form of fast charging, but since this was one of the shortcuts made, it will take you a little over two hours to charge from 0 to 100. Another pain point is the speaker on this device. There’s only one bottom-firing speaker and it has no power. Yes, there’s an app that lets you use other Huawei Y9s as extra speakers for some sort of “party” but how often will you have Y9s around? One last thing, that USB port. Dear Huawei, could we please have USB-C across all your devices? The device has 2019 in its name yet it has a port older than myself. Come on Huawei. Anyway, buying the Huawei Y9 (2019) will be a good investment as the good outweighs the bad.